Business 2 Web Solutions, LLC was started in mid-2012 by brothers Andrew and James Whisenhunt in an effort to help local small business take advantage of the ever changing internet marketplace. Our introduction into the computer business came as many do. We were the “IT” department for local family and friends. Over time our skills were noticed by friends of friends who where small business owners. As our “business” grew we decided that we would base it off on simple principal, We would treat our new customers just like our family customers and that at the end of the day we are here for one reason: To help our customers!. We started working with local small business to help them with their IT needs. 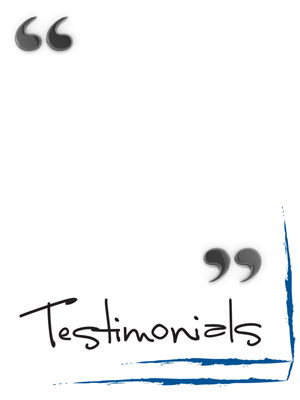 Our business was strictly word of mouth and grew over time. Through our years of working with local companies we noticed that there was a need in the market for a company that could provide a hybrid of computer and web services for business of all sizes. While we haven’t forgotten our roots of computer repair we have moved into a role of providing services that help business grow and adapt as they face the challenges of the internet marketplace changes. Our services are centered around offering services that companies can use to reach an ever expanding customer base through custom tools and web based applications. However, we still offer our tried and true services of computer repair and maintenance, we have just expanded it to include services such as custom desktop and laptop builds, server builds and installs, and networking infrastructure and consulting. We have also added the service of data backup. At one point we have all lost something we could never get back. It’s a sickening feeling and at times a very emotional event. As bad as it is, a lost of this scale for a business can mean lost business, upset customers, and in some cases be the event that causes the business to close it’s door. We all know there is a simple solution to this problem, it’s called data backup. But for a business this can be a lot more complicated. You have to take into account issues such as security, accessibility, ease of use, and cost. Over the years we have worked with numerous business and gathered a list of what we consider to be the common issues for business owners who want to back up their data. We have taken these issues and developed a solution that allows business owners to backup their data while addressing their concerns. Because of this our data backup procedure is a one of a kind approach that centers around ease of use, low maintenance, and no hidden cost. It all goes back to our core principal that we treat our customers like our family and that we are here for one purpose: To help our customers!. In the last few years our customer base and size has grown. We have worked with companies that have annual profits exceeding a billion dollar. However, even though our customers base has changed we haven’t forgotten our core principals. We continue to provide service at a fair and reasonable price, and our number one priority is to help our customers. We truly look forward with the opportunity to work with you. Call us today and let us show you why we have such a excellent reputation.